We provide breakfast and after school care (B&ASC) for our pupils and those of Dulwich Village Infants' School. A range of indoor and outdoor activities are offered, including painting, board games and table tennis. Nutritional food is provided - breakfast in the morning, a light tea in the afternoon. The sessions are a great opportunity for children to make friends in other classes and year groups. Breakfast care runs from 7.45am to 8.45am every morning and costs £4.00 per session. 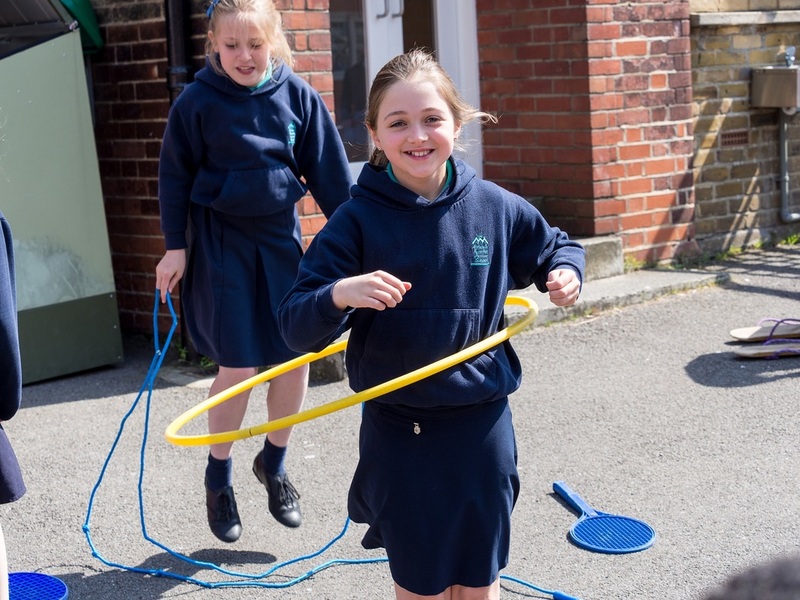 After school care runs from 3.30pm to 5.45pm every afternoon and costs £10.00 per session. B&ASC sessions are staffed by Dulwich Hamlet teaching assistants and midday supervisors, ensuring that all B&ASC staff are familiar to your children. Parents can book regular sessions, for a term or half term for example, by paying in advance. Sessions may also be booked on an ad hoc basis, although once again payment needs to be made in advance and availability cannot be guaranteed - we have 32 places available at each session and once each is at full capacity then no further places can be offered. Payment should be made via ParentPay (Dulwich Hamlet pupils), BACS (DVIS pupils only) or childcare vouchers. All parents must register their child in order to use B&ASC. Please download the registration form opposite, complete and return to the school office. Once your child is registered with B&ASC, bookings should be made by calling the school office between 8.45am and 3.30pm, and the dedicated B&ASC number opposite outside these hours. These numbers should also be used if you are cancelling your child's session, or if you need to notify the team that you will be late to collect your child. Bookings can also be taken in person at the school office, and by email to the school office or the B&ASC Coordinator, Ms Michaela Francey, at mfrancey.210@lgflmail.org.